The Ferrari 400 Superamerica is a very underrated Ferrari. Maybe it’s not so much underrated as it is just unknown – only 47 were produced in total (compared to a similar vintage 250 California Spider, which is actually much more common, comparatively). A short-wheelbase cabriolet like this car is much, much rarer. This beautiful machine is powered by a 4.0-liter V-12 making 340 horsepower. It has a smaller engine than the previous model (the 410 Superamerica) had and other upgrades. The first 400 Superamericas were all short-wheelbase cars – and only six of them were built. The ownership history has this car bouncing between continents on either side of the Atlantic. 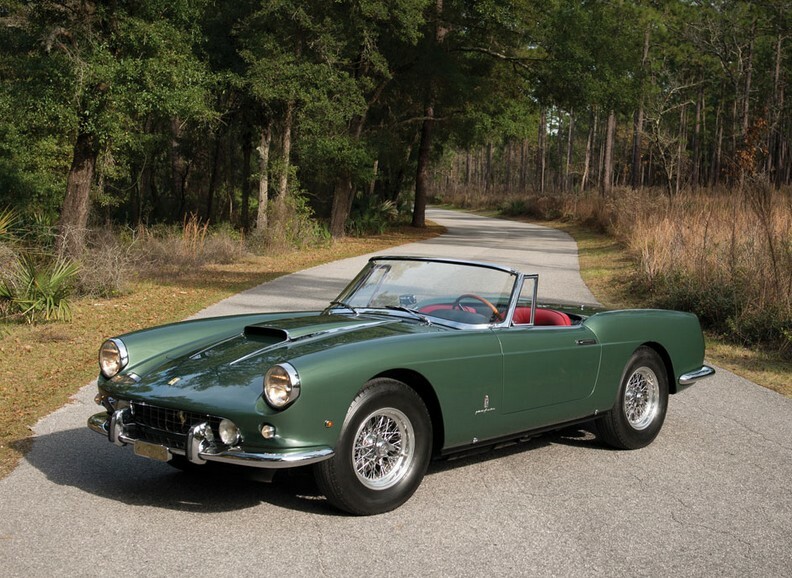 More than half of the six SWB cars built were coupes, so this Pinin Farina Cabriolet, in wonderful Verde Bottiglia green paint – is pretty rare. The proceeds for this sale will benefit charity and it is expected to bring between $6,000,000-$7,000,000. Click here for more info and here for the rest of RM’s Amelia Island lineup. Harry Miller was a racing genius. He was inventive and his cars dominated at Indy for a couple of decades in the early years of racing there. He was one of a handful of major, early names whose sole business purpose was to build race cars. He had no intentions of building road cars. When his company went bankrupt in 1933, everything was bought up by Fred Offenhauser, whose name would appear on cars at the Brickyard into the 1980s. The Miller 91 was designed to meet AAA’s new rule for 1926 that limited engine capacity to 91 cubic inches (1.5-liters). This car does have an original Miller 91 engine – a 1.5-liter supercharged straight-four making between 155-250 horsepower (read more at RM’s site to found out about this huge range). 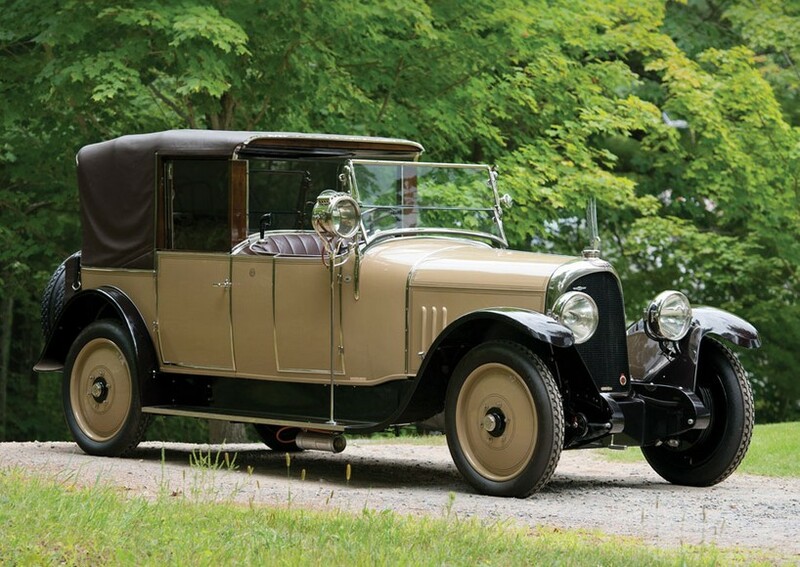 Only 12 or 13 rear-wheel drive Miller 91s were built. The current owner of this car acquired an original Miller 91 chassis and went about sourcing an actual Miller 91 engine, and gearbox – two extremely rare pieces as everything was made in-house in limited numbers – perhaps only about 15. This car was never raced in period (at least not in this form… the original chassis may have a history, but it is unknown what it was used for). 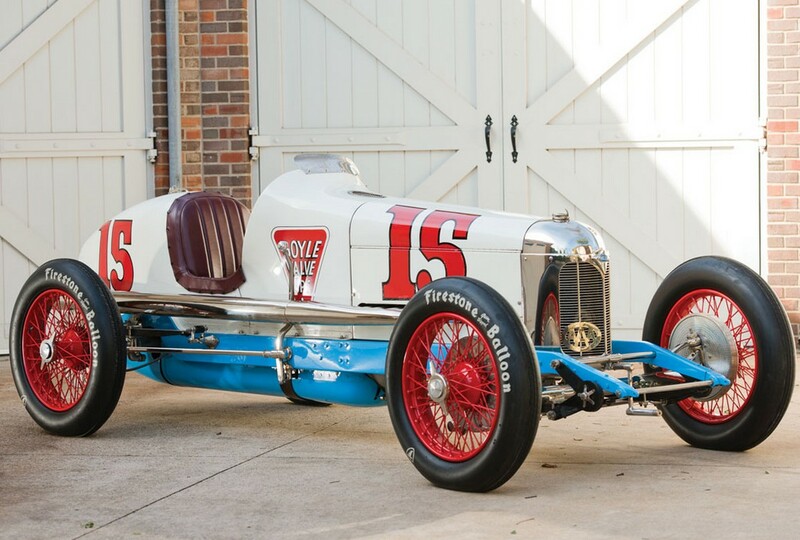 These old Indy cars almost never come up for sale so this is an awesome opportunity regardless of this car’s history. It should sell for between $600,000-$750,000. Click here to see more from this sale. LeBaron bodied some beautiful cars. The Stutz you see here has a very Duesenberg Model J look about it, and that’s probably because some of LeBaron’s Duesenberg designs are absolute classics. Another Duesenberg link is the impressive engine under the hood of this car. 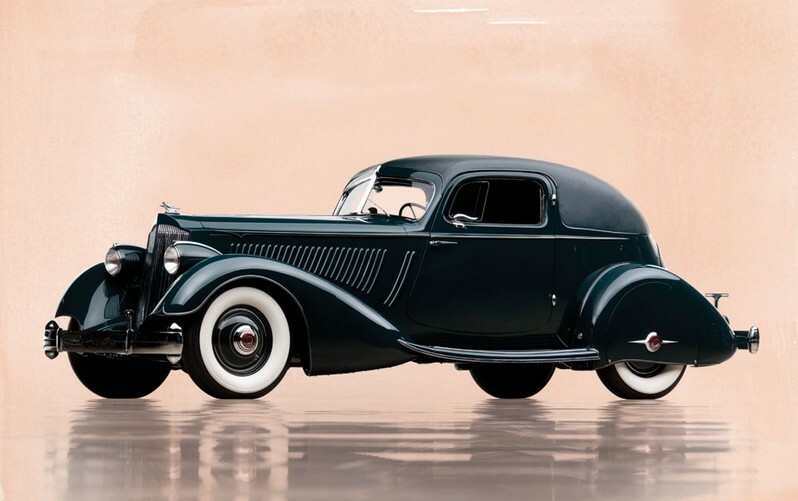 The 5.3-liter straight-eight powerplant was designed by Fred Duesenberg himself. The 32-valve engine makes 156 horsepower. 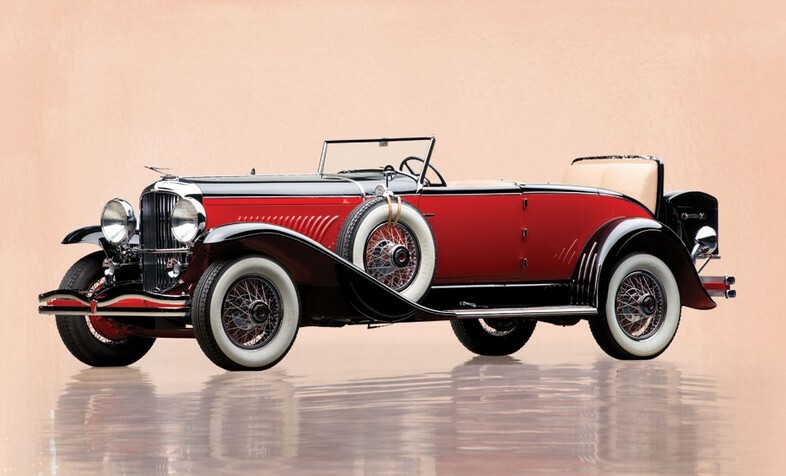 It was Stutz’s crown jewel and their most powerful model. This is called a Four-Passenger Speedster, but most would classify it as a Dual Cowl Phaeton. It’s definitely sporty. 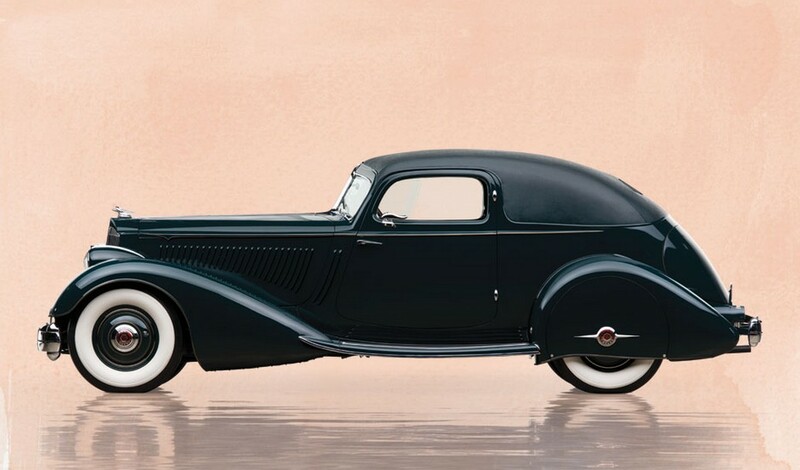 Only about 200 DV32s were built before Stutz closed up shop in 1935. 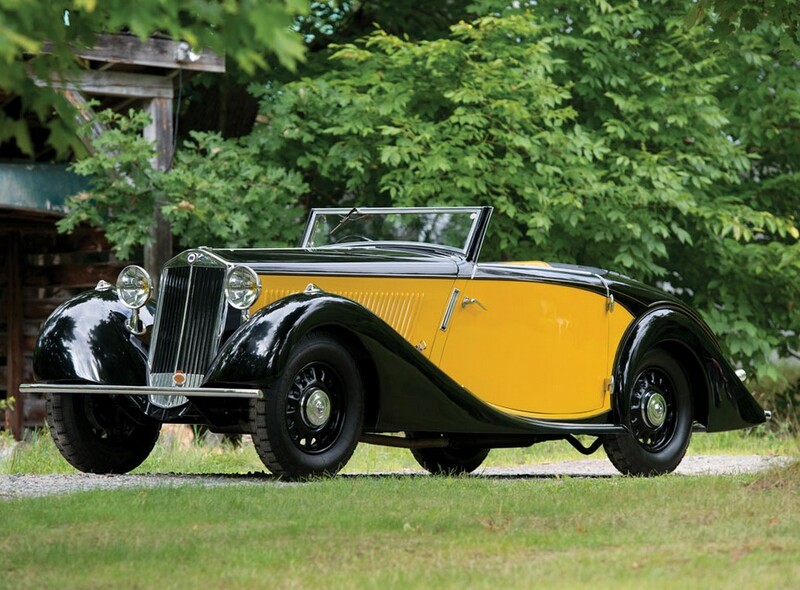 This was the only Dual Cowl Phaeton body style that Stutz sold on a DV32 chassis. There are three Four-Passenger Speedsters known today and two have the tonneau cowl. The current owner acquired this car in 1990 and it was restored in 1995. It would be an incredible car to add to your collection. There are few cars that would be better to have. You can read more here and see more from this sale here. 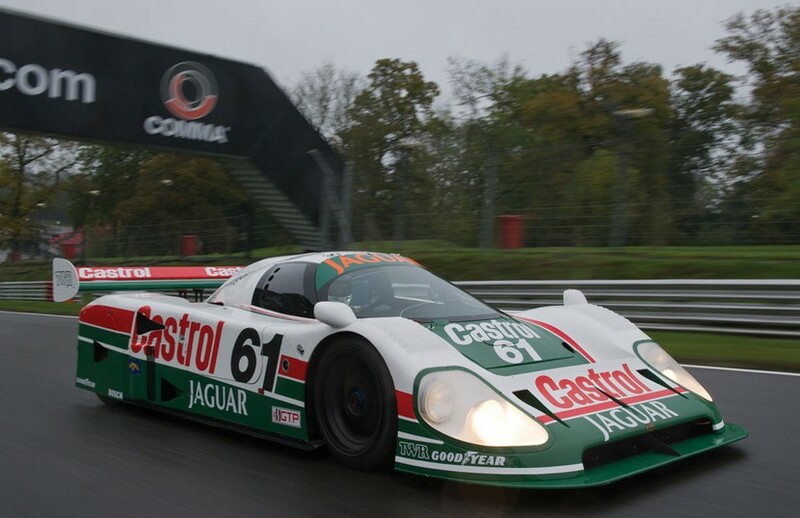 We’ve featured other members of Jaguar’s legendary XJR race car line in previous posts. Here is yet another. It’s an XJR-9, the fifth in the line of awesome race cars that Jag produced in the late 1980s through the early 1990s. The XJR-9 was the first of the series that was intended for both the World Sportscar Championship (Group C) as well as IMSA GTP. So there you have it – this is the winner of the 1990 24 Hours of Daytona. It was a successful Tom Walkinshaw Racing team car for its entire racing life. It remained in the TWR museum until 2003 and was restored in 2006. The Castrol livery is a really good racing livery. Read more here and see more from this sale here. The first auction we’re covering in our February rundown is actually Mecum’s Kissimmee sale held in January. Our featured 1969 Dodge Charger Daytona (with a Hemi) was the top sale for $900,000. On the other end of the spectrum, another of our feature cars, the International Scout, sold for $14,750. There were a lot of interesting cars, but we’ll call out this sweet 1971 Dodge Super Bee Hemi that brought $190,000. 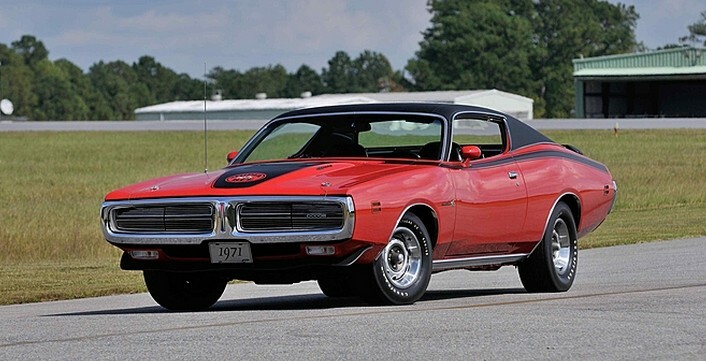 Our featured highly-optioned ’71 Charger R/T Hemi failed to sell. Check out full results here. And we’ll jump back to the first major sale of the year, Coys’ same-day doubleheader. We featured three cars from their sale in the Netherlands, with the 1956 Gaz 12 blowing it’s pre-sale estimate out of the water, more than quadrupling the low end of its estimate by selling for $107,890. The 1986 ZiL 115 brought $97,890. And the Cadillac Model B went for $54,440. Check out full results here. 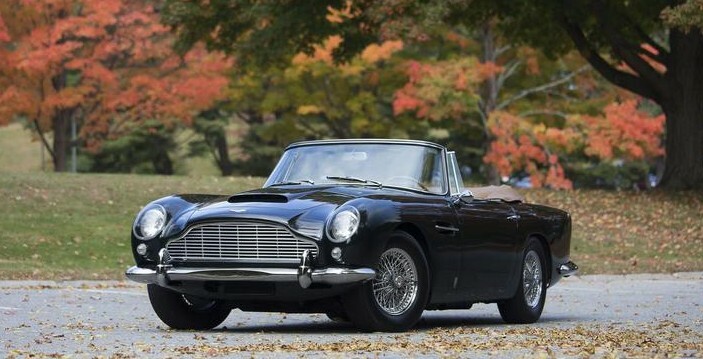 Next up we have Bonhams’ sale in Paris where this 1965 Aston Martin DB5 Cabriolet was the top sale at $2,172,068. Of our feature cars, a few failed to sell: the Renault 40CV, Excelsior, Alfa Romeo RL, and the Alfa Romeo Pescara. The Borgward Rennsport brought $256,698 and the Isotta 8A SS sold for $1,066,288. Check out full results here. Artcurial’s Paris sale featured the fascinating Baillon Collection of barn find French classics. 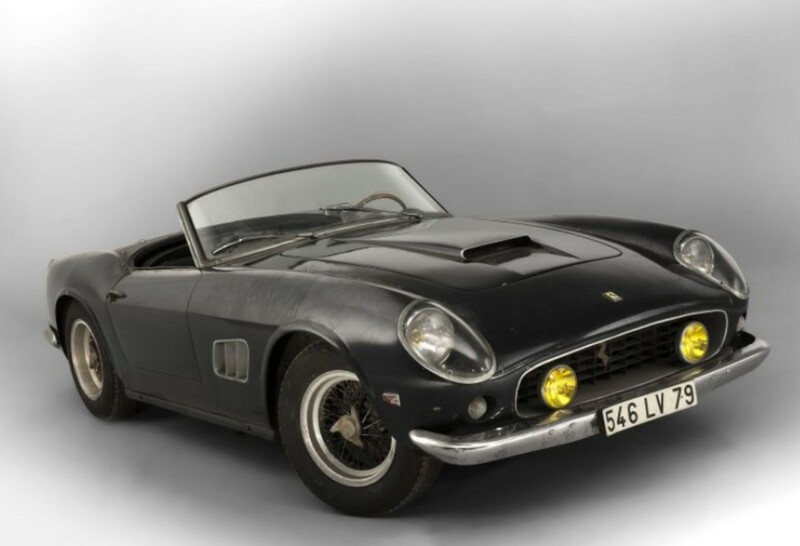 There were some Italians in there too, and this buried-under-newspapers, garage fresh 1961 Ferrari 250 GT SWB California Spyder sold for a world record $21,980,656. Of our feature cars, the Croizemarie and the Renault Coupe-Chauffeur failed to sell. The Gregoire brought $152,817 while the Fouillaron Type G brought $120,645. The Footwork F1 car sold for $209,119. And the Bugatti Profile Aerodynamique went for $450,409. This sale had some pretty incredible results for some of the barn find cars. Check out full results here. And finally, from Paris, RM’s auction where one of the best Ferraris ever was the top sale. 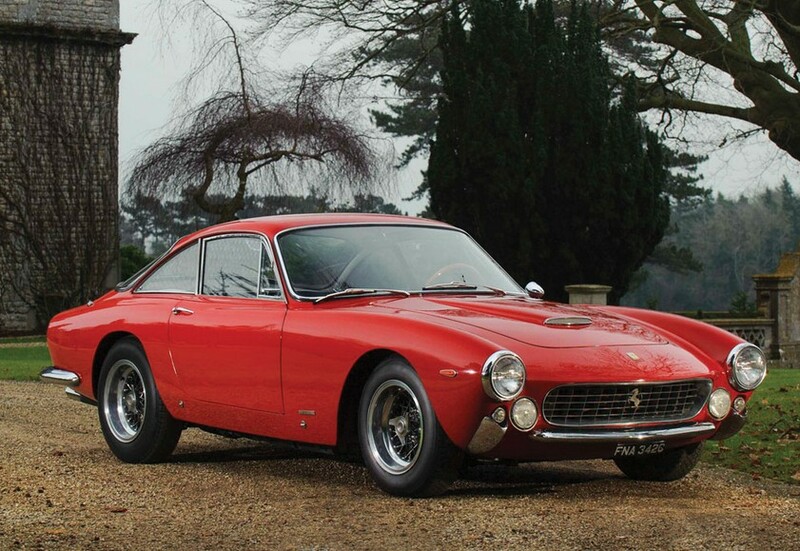 This 1963 Ferrari 250 GT Lusso sold for $1,859,480. We featured a pair of cars that RM had left over (or, more appropriately, held onto until they had the perfect venue) from the John Moir collection: the Lancia Belna and Voisin C3. Strangely, they both brought the same amount: $243,656. Another Lancia we featured, an 037 Stradale, sold for $384,720. The Honeymoon Express Bentley went for $769,440 and the Iso Grifo Stradale brought $1,186,220. Check out full results here. Here is another Duesenberg from the Andrews Collection. This is also a highly desirable version. 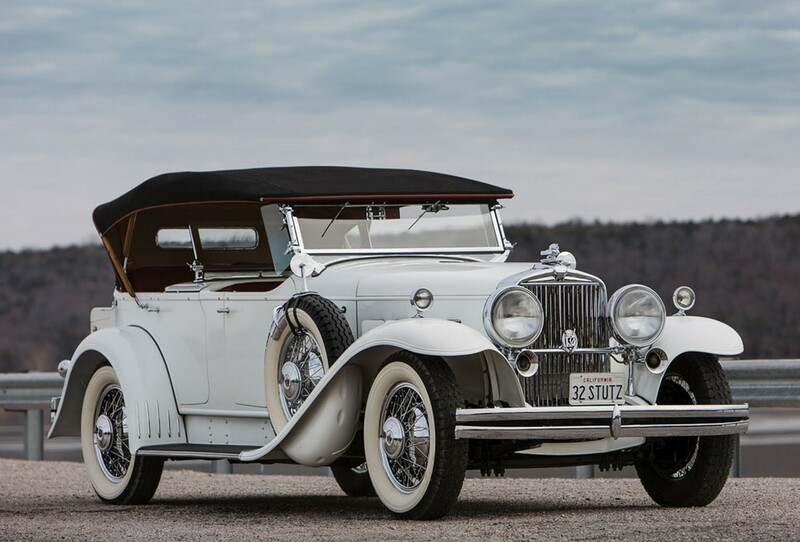 The Disappearing Top Convertible Coupe is a very attractive, very sporty body style and it was done by the Walter M. Murphy Company, the most prolific Duesenberg coachbuilder. Unlike the car we featured a week ago, this is an un-supercharged Model J, meaning that the 6.9-liter straight-eight puts on “only” 265 horsepower. This car has an interesting history as, for a large portion of its life, it was in collection of Pacific Auto Rentals – who provided cars for movies. This car has a number of credits to its name, regularly showing up on screen between 1949 and the late 1970s. In the 80s, it became part of the Imperial Palace Collection and was eventually acquired by Dean Kruse of Kruse Auctions. It has been in the Andrews Collection likely since 2008, when it sold at an RM sale for $2,640,000. Click here for more info and here for more from this sale. Here it is. One of the greatest cars of all time. By 1965, there had already been two versions of the Cobra. First, the 260, and then the 289. But the Cobra’s competitors were getting faster and faster and the 289 didn’t have any more power to give. So Carroll Shelby went to ford to get an aluminium 390 V8 and Ford said no and gave him this old iron-block 427 V8 instead. The thing was monstrous and heavy and the Shelby team had to redesign the chassis to handle it. This is why 427 Cobras have those wide hips compared to earlier cars. So the Mk III Cobra, the 7.0-liter 427 V-8 powered monster, was built between 1965 and 1967. What makes this even more special is that Shelby was a racer at heart and he wanted to see these things taking checkered flags all over the world. As the FIA was screwing around with their rules and classifications for different cars, Shelby was just trying to keep up. He ordered 100 competition Cobras from AC. 53 were completed before the FIA changed things again and Shelby put a hold on the order. But the new rules pitted the Cobra and GT40, siblings, against each other. Carroll bowed the Cobra out to run the GT40 program and left these roadsters to privateers, selling 16 of his 53 competition Cobras to private teams. But he had some leftovers. Instead of racing them, they painted them (and this blue with two white stripes is the absolute best Cobra paint scheme there is) and sold them to the public as “Semi-Competition” (or S/C) road cars. They were the fastest street cars ever produced at the time of their introduction (and for quite a few years afterward). The engine puts out 485 horsepower in S/C form. Top speed is said to be about 185 mph, which is insane for 1967. This particular car has known ownership history from new and 18,000 original miles. 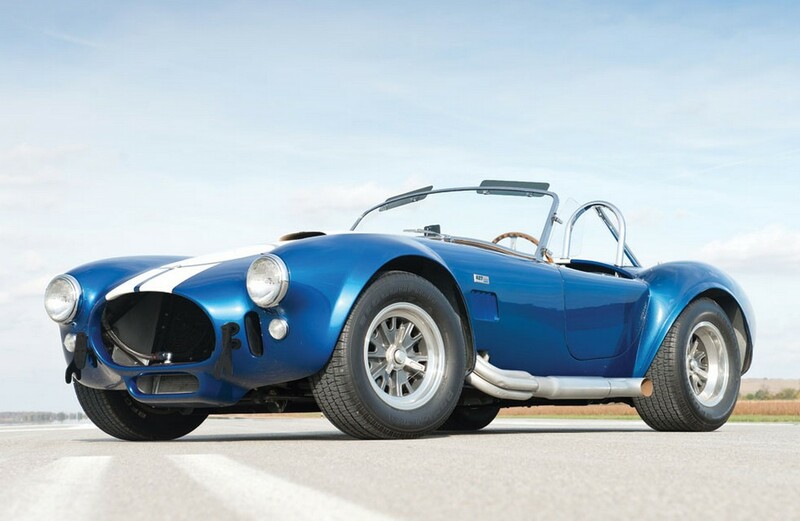 It has light SCCA competition history and is one of 29 authentic factory 427 S/C Cobras built. It’s incredible. You can read more here and see more from RM in Amelia Island here. The Lancia Belna was actually built at Lancia’s first non-Italian plant in France. They opened that factory in 1931. They began producing the Lancia Augusta there in 1934, but all French-built Augustas were called “Belna” (which, strangely, translates from Hungarian to “gut”). French coachbuilder Marcel Pourtout got his hands on a few bare chassis Belnas and built a really lovely design. This “Eclipse” car features a retractable hardtop that was designed by automotive designer and French resistance fighter Georges Paulin. The Belna is powered by a 35 horsepower 1.2-liter V-4. And it has the best tires you could get on a car from the 1930s. I don’t know what it is about those chunky treads, but they just spell awesome. Only about 3,000 Belnas were made before production stopped in 1938. Only about 500 of those left the French factory as bare chassis and only two Pourtout Eclipse Belnas are known to exist. This is the only assembled, road-worthy example. It’s gorgeous and can be yours for between $360,000-$450,000. Click here for more info and here for more from RM in Paris.